Do you have great content on Pinterest and wish other people would see it? Well, there is a way to give your Pinterest content a quick boost. Here’s how. There are many people online who like to publicise their content via Pinterest. These are from all walks of life: artists, DIYers, generally crafty people, bloggers, and other content-makers. What do they have in common? They make great things and want those things to get noticed online, in this case on Pinterest. Gaining a Pinterest following will usually come about naturally with regular pinning, good use of board names, and following other people you find interesting. However, it’s possible to kickstart this process a little using a handy site called Pinwoot. Pinwoot is kind of an “I’ll scratch your back if you scratch mine” deal for Pinterest users. 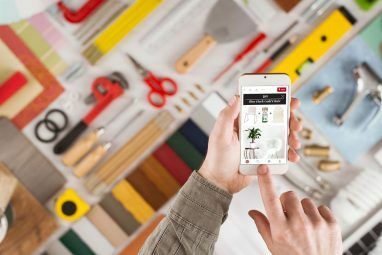 You sign up for the service and instantly get connected to an active, interested subset of Pinterest users. The Pinwoot service revolves around a currency of “seeds”. You begin with a credit of 35 seeds on your account, which means your account has enough currency to get you 15-25 new followers, likes or repins for your pins. For instance, when a new person follows you it will cost you 3 seeds. You can quickly get another 15 seeds for sharing your interests with Pinwoot. In fact, you’ll probably want to do this anyway, as it will ensure Pinwoot connects you to the right sort of people. When you refer people to Pinwoot, you earn seeds. When you use Pinwoot to follow people, repin or like other people’s pins, you earn seeds too. Basically, Pinwoot keeps track of how helpful you are, then returns that value back to you. If someone follows you, you pay 3 seeds per follow. If someone repins your content, you pay 3 seeds per repin. If someone likes your content, you pay 2 seeds per like. Set up your profile to gain 15 seeds. Share Pinwoot with your friends for 100-150 seeds (depends if there is a promotion at the moment). Gain between 2-4 seeds for following another user (the amount is set by them). Gain between 2-4 seeds for repinning (the amount is set by them). Gain between 2-4 seeds for liking pins (the amount is set by them). However, occasionally you will see content that gains you even more seeds for your repin or like. I presume this is a calibration feature offered to paying customers. In the settings, you can also calibrate how many seeds you want to spend when you are repinned or followed, as a way to entice new followers and repins. People browsing for new people to follow or content to repin will see in advance how many seeds they will get for the follow or repin. If your seed value is high, they may be more tempted to your content over someone else’s. Here’s a guide to how one user boosted his blog traffic with one very small Pinwoot boost. When you are ready to get your pins seen by the world, you need to first pin it in Pinterest itself. If you’re hoping to get traffic to your blog or Etsy site, make sure your pin is set up correctly, with a link back through to your site. Then grab the URL for your pin and paste that into Pinwoot on the Get Repins page. . It will cost you 15 seeds every time you do this, but then your pin will be visible to Pinwoot users who are looking for new, fun content to pin. It’s a really quick boost! Your Pinterest account will automatically be shared with Pinwoot users with similar interests to you, so your followers will grow naturally through similar interests, but a little quicker than before. Handy tip: Get straight on to sharing your pins, before your introductory seeds are used up by gaining new followers! A quick way to make more seeds is to re-pin other people’s content, which is why Pinwoot deliberately limits users to making only 35 repins per month. If you want to space out your pinning automatically, you can use Pinwoot’s Automate Pins section to do so. On the Automate Pins tab, all you need to do is search for the keywords you’re looking for, choose the board to use, then tell it to automate them. Pins will be spread out for you automatically. If you are willing to pay a little to get traffic to your pins, there are a number of great paid options to pursue, starting at $5 for 100 seeds. Some of these options offer higher visibility on Pinwoot for your pins too. It’s worth paying attention to the details if you are considering paying for this service. Obviously, since all Pinwoot users are actively trying to get repins and new followers, Pinwoot is a place where people will repin a lot of content in order to gain that sweet seed currency. In some ways this could be seen as a little false, however if you stick to promoting content you actually do like, I don’t think this is an issue. This also means people would be tempted to pin content more readily than usual, with perhaps a little less attention to where the link went to and whether that was a good blog (not that many Pinterest users do this anyway). This could lead to bad links being promoted, so hopefully Pinwoot and Pinterest are working to minimise these. I also hope that Pinwoot have measures in place to minimise the spammers, otherwise this will make Pinwoot unbearable very quickly, and lead to Pinterest trying to find some way to stop these sorts of sites. Pin-boosting sites like this will no doubt become more common as Pinterest gains popularity. Pinterest boards are already very prominent, as you can link boards to your Facebook page Double The Social Power: How To Integrate Pinterest And Facebook Double The Social Power: How To Integrate Pinterest And Facebook Most curators of visual content have a Pinterest account and either a Facebook account, page or group. Today we'll focus on connecting Facebook Pages and Pinterest accounts; however many of these ideas could be used... Read More , and they get exposure in Bing search results Bing Gets Prettier: Adds Pinterest Boards To Image Search Bing Gets Prettier: Adds Pinterest Boards To Image Search Bing has beefed up its image search by bringing Pinterest boards to its image search results. See the Pinterest board collections appear on the right hand side of the regular Bing Image Search. Read More . Pinterest itself is starting down the promoted-pins route Pinterest Rolls Out Article Pins for "Read it later" and Starts Promoted Pins Pinterest Rolls Out Article Pins for "Read it later" and Starts Promoted Pins Pinterest has now stepped into the 'read it later' game -- an obvious move given its bookmarking capabilities. Additionally, it's also experimenting with promoted pins to monetize the site. Read More , which retailers must love, especially with the price alerts feature, Pinterest contests Get Inspired With These 6 Pinterest Contests And Craft Your Own Get Inspired With These 6 Pinterest Contests And Craft Your Own The best thing about Pinterest contests is that the social network itself is so visually attractive. The second best thing is that lots of famous brands are hopping on the Pinterest wagon. The third good... Read More and read-it-later capabilities of Pinterest. What do you think of Pinwoot? Is it cheating? Will it last? Tell us in the comments. This article is a few months old but I've just seen it (I like to procrastibrowse by going through all the 'Cool Websites and Tools' that I've missed). It sounded interesting (note: I am resisting any Pinterest elated puns). There are many instances littering the internets where their spokesperson claims it is free and will be so forever. Sign up for your free account. Get blah blah for free. I could only find an option to sign up for a free trial of a week and given a choice of four plans (all with a free week). It promised me it wouldn't take my money today. You're not wrong there, dear Start Up. I do pay for various web services. I am a web dev/web designer and many of the services/webapps I that I use I will introduce to my clients ... if I feel they are productive and help us work well collaboratively. In particular I refer to the time spent maintaining one's branding and social media presence. Some of the apps out there are worth their weight in gold. Having said that, I never use anything that stops me (or tries to stop me) at least accessing more examples and information about their product when I first land on their page. I just back quietly out of there (assuming they are not SO desperate that they disable the back button (memories of the 1990s). Around 95% have a free account, albeit somewhat limited. If I like it, then I pay for it (or rather my clients do). I've not come across one before that required my Paypal/Bank details before I even started even though it promised not to use them. I may be missing something - like the link to the free account. But, here's the thing : I feel slightly uncomfortable about the business ethos of a company that promises to be free and, before I've even tried it out, demands my PayPal Account details anyway. D'you see ? TLDR; might be an idea to back off with the Paypal demands, which are somewhat previous as we say in the UK. 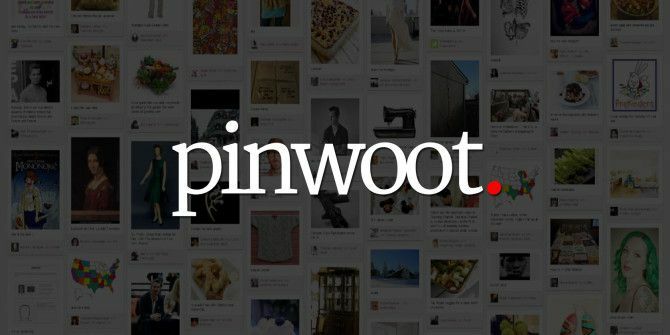 I respect your thoughts and concerns, but as far as Pinwoot's case is concerned, it was built to help Pinterest users specially those who are following their passions, moms who are trying to earn extra few dollars by running a creative DIY shop or jewelry shop to support her family or in general help content creators to capitalize Pinterest's asset aka referral traffic. We highly respect Pinterest ecosystem and this is main reason why our first hire was not an engineer or sales person but a dedicated person to manually keep a check on this community (pinwoot) and keep cleaning it. Our automate pins feature let users get dozens of best images for any given keyword. This will only add value to Pinterest ecosystem. Also, we must not compare Pinterest to other social networks like Facebook or Twitter. Relationships among user and her follower on Pinterest is completely different from relationship among Facebook friends or Twitter followers. 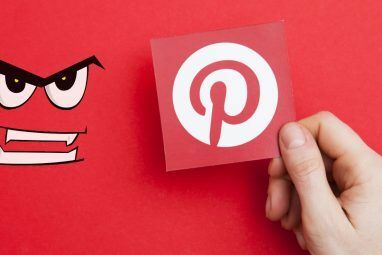 Pinterest is inherently made to share and distribute creative content and creating a community to help people distribute their content quickly has no harm in it. But again, we never aimed at getting all 70m+ pinterest users on board, we are just working hard to build a useful community of Pinterest users who will help each other to rise up. Thanks for replying Alex! It's good to see that Pinwoot does have "the little guy" in mind rather than big business. Initiatives of this kind speed up an already present inflation trend where the largest number of followers, the highest number of sales, the greatest number of posts (pins, in this case) become much more important than the quality and loyalty of true friends, and the quality, sincerity and originality of your content. Ironically, the people who set up "balloon schemes" like this, don't seem aware that they are in fact biting the hand that feeds them. 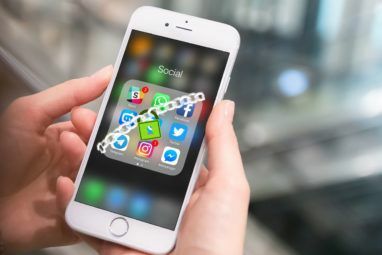 For in fact they are poisoning the very system itself: in the end, social sites will simply collapse under the weight and dominance of massive insincerity. Real individuals will then go somewhere else, will shift to some new channel for real exchange and real sharing. Until there, after a while, inevitably this same kind of poison will begin to seep in again and begin to dilute everything again, inflating the junk factor and robbing the system of its original freshness and strength. And so it goes on and on, until one day, you decide you don't care anymore and simply jump off the bandwagon. Hi Henk. Yes, this does happen to many social ecosystems and it could be what happens to Pinterest. However, that's not the aim of Pinwoot and hopefully it doesn't interfere with things too much. It really is just a cool way to get a quick boost and connect with Pinners you wouldn't have otherwise met. 1. We have a full time person in team who works on maintaining quality of users and pins on Pinwoot and for spam control. 2. Users who buy seeds on Pinwoot have seen 100% increase in traffic and 15% increase in sales on minimum spending of $5 a month only. 3. Pinwoot also offers a Pintetest Manager service where we manage and grow our client's Pinterest presence. Its like hiring a social media marketer for Pinterest but at 1/10th monthly cost. 4. We will be launching Pinwoot Pro early next month which will be our enterprise offering that will let agencies and brands to manage and grow upto 100 pinterest accounts from single pinwoot account. Thanks again. Looking forward to serve the readers who will join Pinwoot after reading this. Facebook Page vs. Group: Which One Is Right for You?